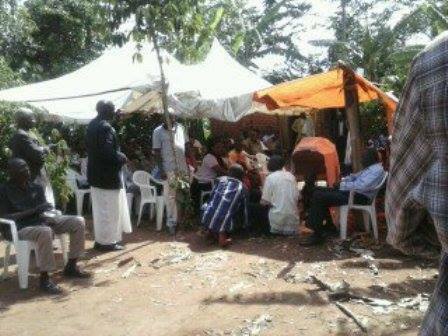 The burial of the husband of our secretary went well, the burial took place in Iganga district. The man left two wives and 6 children, one boy and 5 girls who are all very young. JESUS IS LORD MINISTRIES promised to stand with Gorret in her hard moments in raising up her children. She will always need your support in educating the children and metting basic needs for the family and we can not do this without your prayers and support. Your support and prayers for her family will be highly be appreciated. May the soul of her husband late Paul rest in peace! This entry was posted in Needs, News and tagged caring, children, families, funeral, help, ministry, orphans, widows on October 1, 2013 by Admins.